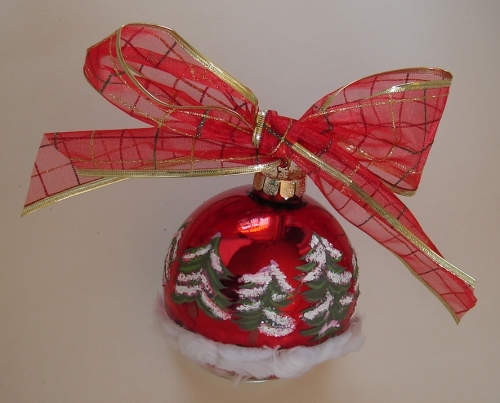 Beautifully hand painted Christmas Tree Forest Ornament. 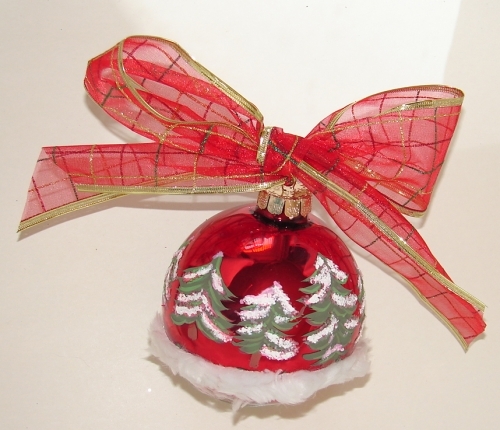 Beautifully hand painted Christmas Tree Forest Ornament. 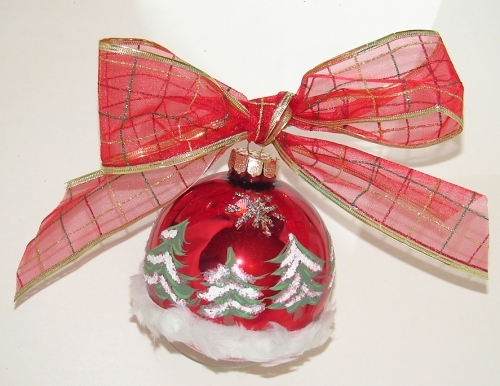 Embellished with Snow Glitter and fur. 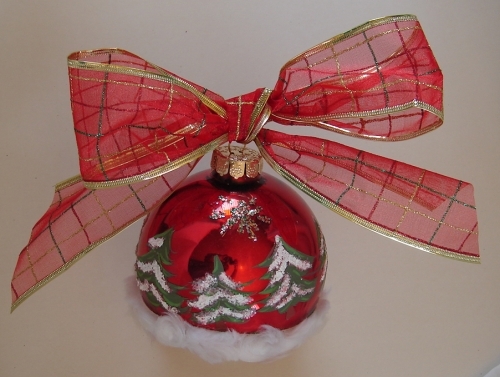 4" diameter large size ornament.